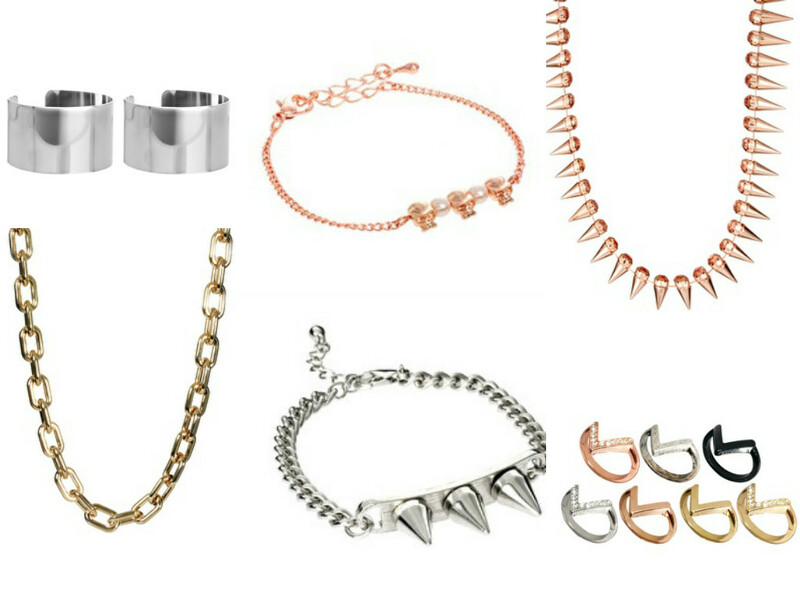 Oh Asos, I bow down to your sales, especially when it comes to jewellery. 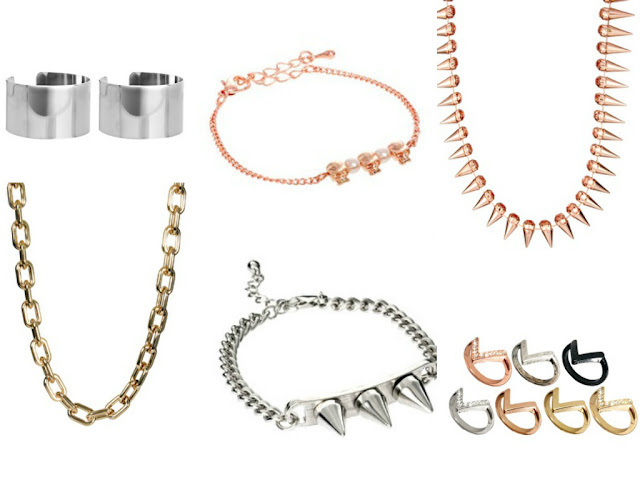 I have such an obsession with jewellery, I may actually have to go to rehab for this addiction as I'm never going to be able to save for anything -ever.- So due the this obsession I was naturally drawn to the Asos sale of up to 70% off. I thought I'd show you a few of my favourite pieces, which are at great prices. The first thing are these arm cuffs, I think these are so stylish and sassy -not sure why, that's just the word that springs to mind.- With a really simple cut-out maxi or a strapless maxi dress, they would be perfect to take the outfit from a day look to the night time. You could either wear both of them at once, or for more subtle sophistication just wear one. The second thing I have here is this gorgeous chain link necklace. I love this style of necklace at the moment so this is perfect and I am seriously going to have to buy this! The sort of tarnished gold look adds to the coolness of the whole necklace, gives it a vintage type look. A necklace like this can add a really sophisticated feel to any outfit. The skull bracelet is just so cute, I love skulls and rose gold so this is the perfect combination! The pearls in between, I’m not 100% sure that they are necessary, I think the bracelet would be just as nice without it. I really need some more skull jewellery so I’m going to start with this. Spikes. This word just says it all, some people hate the whole spikes trend –and yes it can go overboard and make things look tacky- but this is the perfect amount to make this bracelet look classy. Again it is chain linked so this is right up my street. I repeat spikes. This necklace may look a little OTT but I love it. Just like the chain link necklace this will spice up any plain top or dress and is an essential in all wardrobes. The gems on the other end of the spikes, I feel, somehow dials down the harshness of the spikes as they are very girly. The last things are these chevron style rings, which are definitely my favourites out of the other things I have mentioned. For a pack of seven and a mixture of gold, silver, rose gold and black for this price is incredible. I have so many rings but nothing like this so I really will be getting these! Rings add so much to outfit in my opinion and layering up some of these on one finger may look cool.